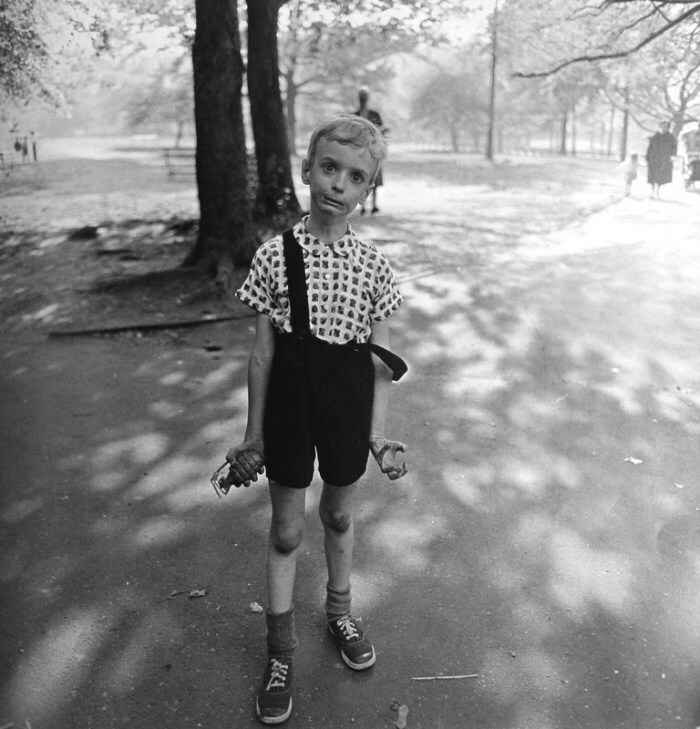 We’re pleased to announce Erich O’Connor’s short piece “Play Fight” as the winner of our flash fiction contest, inspired by the photography of Diane Arbus! We stood shoulder to shoulder staring at the photo in The Medicine Shop—a local art gallery. “What does it mean?” Alberta whispers. “I don’t know,” Marvin says. Frank is such a bummer—he’s smart—but he always takes the fun out of things by over-over analyzing things and always ends up making everyone feel really dumb. When we leave The Medicine Shop and Alberta says she wants to go to Tacos and Ice Cream and have a taco and some ice cream. We walk down the street, passing the spinning neon taco. Inside as Alberta is stuffing her face with a soft shell tortilla and I’m chowing on the cheesiest nachos, Frank informs us about the news report he’d just seen Andy Rooney give on last week’s 60 Minutes. I throw a chip at his face, cheese sticks to his cheek and jacket before the chip falls to the floor.